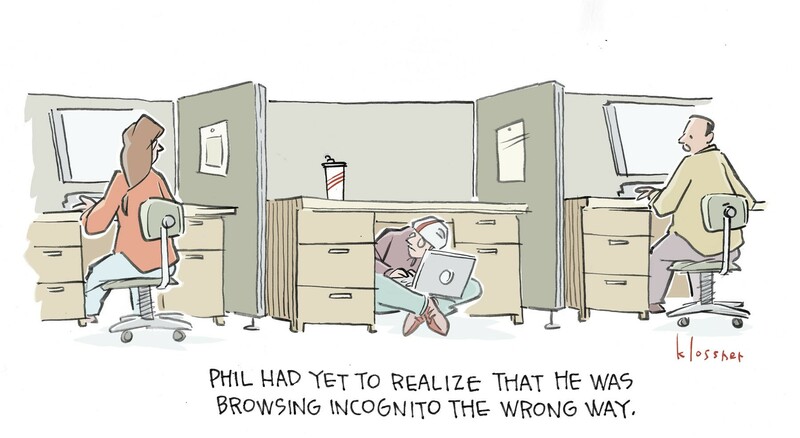 First prize, a $25 Amazon gift card, goes to REISEN1955, also known as Robert Eisenhardt, a forensic investigator with Fiserv, Alpharetta, GA, for his incognito browsing-themed caption penned below by cartoonist John Klossner. Second prize — a $10 Amazon gift card — to GWAIN, for "Under here. 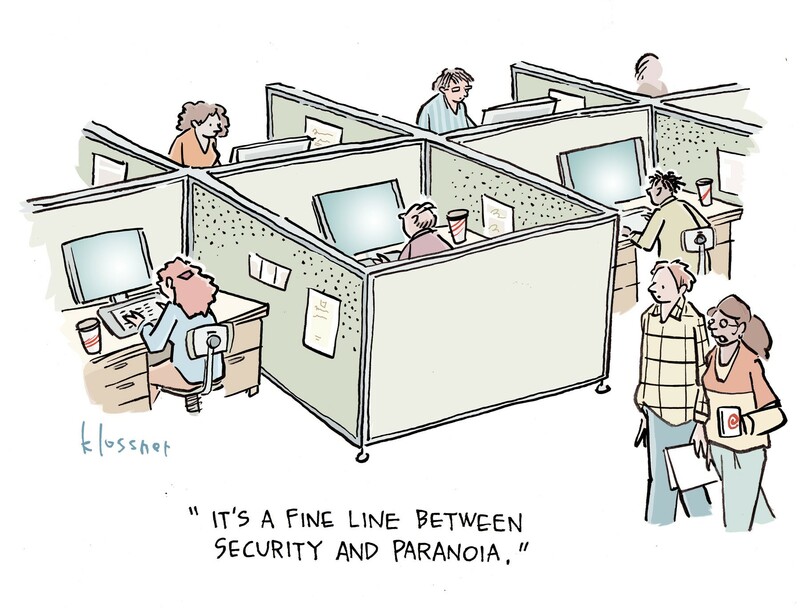 I got an email saying my desktop was compromised." Many thanks to everyone who entered the contest, and to our loyal readers who cheered the contestants on. Also a shout out to our judges, John Klossner, and the Dark Reading editorial team: Tim Wilson, Kelly Jackson Higgins, Sara Peters, Kelly Sheridan, Curt Franklin, Jim Donahue, Gayle Kesten, and yours truly. If you haven't had a chance to read all the entries, be sure to check them out today.